KANKAKEE, Illinois — The Ian Fleming Foundation marked the 20th anniversary of the group’s “work weekends,” where volunteers refurbish vehicles that have appeared in James Bond movies. The foundation owns more than 35 such vehicles, about half stored at Kankakee, Illinois, the other half stored in the U.K. The group normally conducts two work weekends in Illinois a year, one in the spring, one in the fall. This weekend’s event centered on moving the vehicles stored in Illinois from one airport hangar to a larger one at the same facility. The vehicles involved included a truck from Licence to Kill, a Jaguar sports car from Die Another Day and the Q boat from The World Is Not Enough. The foundation was formed in 1992. A description of the group’s activities can be found on its website. 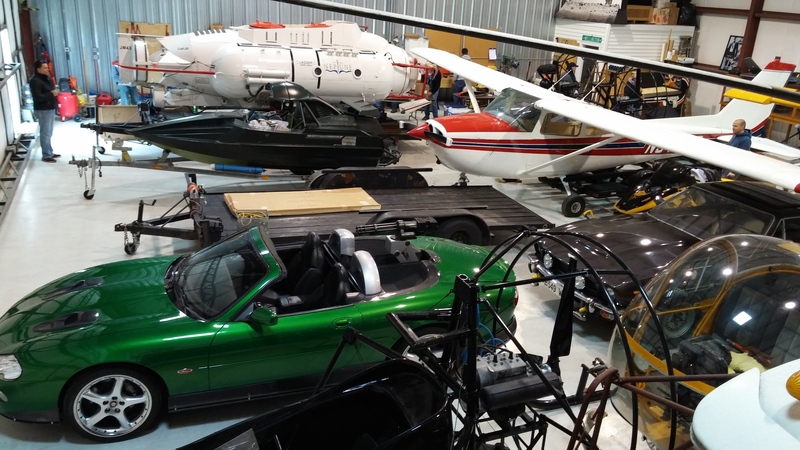 The HMSS Weblog paid a visit to Momence, Illinois, over the weekend where the Ian Fleming Foundation was doing maintenance on vehicles that have appeared in James Bond movies. One of them isn’t thought of as a Bond car, even though it is. It’s a Ford Mondeo prototype driven by Daniel Craig early in the 2006 movie Casino Royale, making it the first Bond car of the Craig era. Craig’s Bond in the movie would shortly drive flashier cars, such as an Aston Martin DB5 and a 21st century Aston. 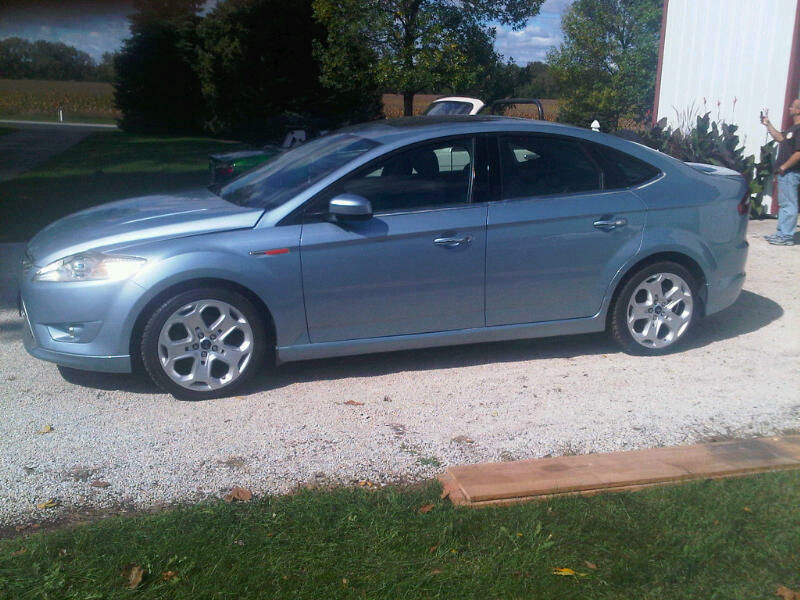 But the Mondeo is the first car Craig/Bond is seen in. The foundation sought the Mondeo from Ford Motor Co. after the Casino Royale came out. The developmental prototype wasn’t built for everyday driving and not intended to go out on city streets. It’s just another example of the magic of the movies to make things seem what they aren’t. The only clue in the movie was the fact the Mondeo never drove in traffic, only by itself. The new issue of HMSS has arrived! The publishers and editors of Her Majesty’s Secret Servant are pleased to announce the publication of our latest issue. This one — our best yet, we think — is packed with interesting reading about all matters Bondian. We have some old friends returning and some new ones joining us for the first time. Our good pal Deborah Lipp checks in with two fascinating articles; one about Live and Let Die‘s monkeying around with tarot cards, the other about recurring themes of voyeurism and concealment in You Only Live Twice. Ron Feyereisen returns with a contrarian view of the ongoing Daniel Craig “reboot” tenure; suffice it to say that he’s not a satisfied customer. Speaking of reboots, regular contributor Derek Austin Johnson casts his gimlet eye on the latest 007 literary adventure, Jeffery Deaver’s Carte Blanche (the James Bond watches man, Dell Deaton, offers a rebuttal). 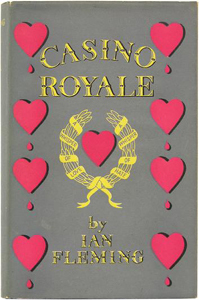 On the subject of the latest Bond novel, we’re rerunning Mark Henderson’s excellent interview (first published last April here on the blog,) with the author. We’re excited to welcome Stuart Basinger (that’s “Dr. 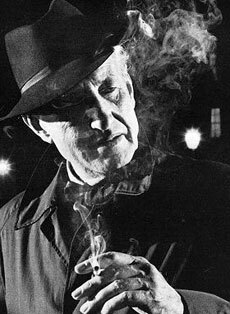 Shatterhand” to you civilians) to the fold with his imaginary interview with former CIA director (and friend of Ian Fleming) Allan Dulles. James Bond is discussed. Ian Fleming Foundation member Colin Clark regales us with the story of the discovery and acquisition of Franz Sanchez’ escape plane — the Cessna we saw Timothy Dalton’s 007 lasso in Licence to Kill. And our stalwart senior editor Bill Koenig unearths the amazing story of what 1979’s Moonraker could have been like, if only Eon’s budget had matched the screenplay’s requirements. Bill’s story also covers script-to-screen changes in Diamonds Are Forever and Tomorrow Never Dies. So set aside a little time, mix yourself a cool martini, and point your web browser to HMSS.com, for some thought-provoking entertainment and a heaping helping of, as the French say, le jamesbonderie (even though they probably don’t). Enjoy! Doug Redenius, a vice president with the Ian Fleming Foundation, has sold his large personal James Bond collection, The Daily Journal newspaper in Kankakee, Illinois, reports. He’ll also be moving from Illinois to Florida to manage a new museum whose contents will include his former 007 collection. Soon Redenius will be starting a new career in North Miami Beach, Fla., were he will be a manager of a new 15,000-square-foot museum devoted to the life and times of the fictional character. While many people questioned Redenius’ emotional and financial commitment to Bond during the past 30 years, he was always confident it would pay off in the end. The lead article A PORTION OF WHICH YOU CAN VIEW BY CLICKING HERE says a proposed 007 museum in Momence, Illinois, was not going to happen. The free portions of both articles give you a flavor of what’s happening. There are links to the paper’s e-editon as a way to get the unabridged versions of the stories. Meanwhile, here’s a directory of previous HMSS Weblog posts about Redenius. His personal collection is separate from the 007 film vehicles owned by the Ian Fleming Foundation.